Not everything in a church happens quickly but as we notice the changing in the weather, the cold of this season coming in we look to our own church and getting updated as we look forward to 2019. I am pleased to announce our rectors new email address ‘ku.gro.hcruhcytinirtylohnull@rotcer’ is up and running. Also up is Kennys name is now on our Rectors board. 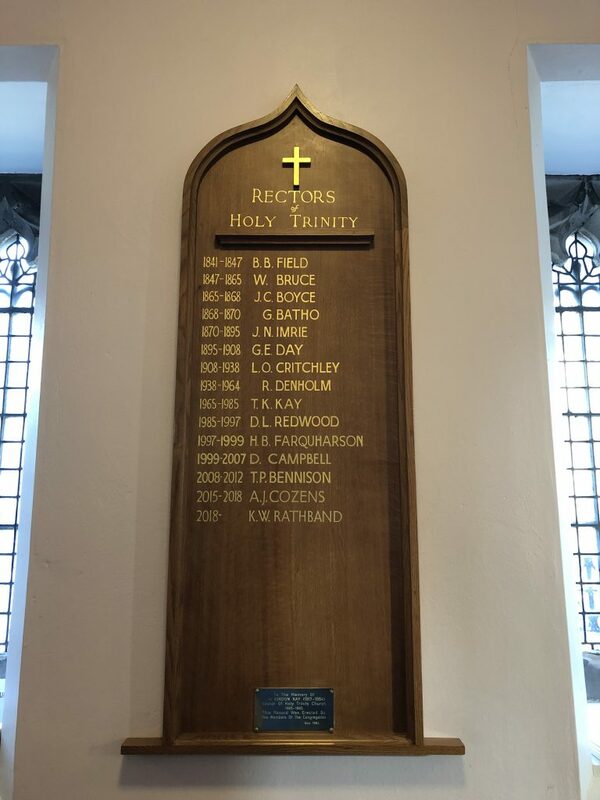 Displaying all our Rectors since 1841 Kenny becomes the 15th Rector here at Holy Trinity. We would like to thank our Rectors Warden for managing the emails during this time of interregnum and hope he will enjoy getting his inbox back!